Lighten up your next meal and make it into a salad! The last 3 meals we've had at my house have been fajitas, BLTs and grilled chicken. 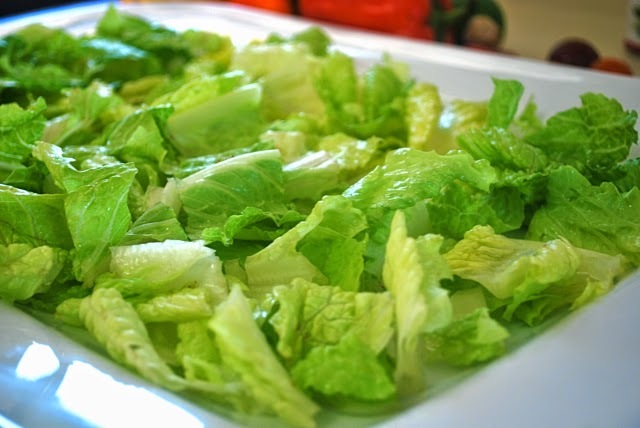 While the rest of my family has been piling things into tortillas or onto bread or next to mashed potatoes, I've decided that it's fresher, lighter and just plain healthier to pile my food onto a big bed of lettuce. You save anywhere between 100-400 calories per serving and you aren't getting extra carbs you don't need. So next time you're eating, ask yourself: "can I make this a salad?" I thought I'd write a bit about staying safe while working out in the heat of summer after coming home completely drenched and a bit nauseous this morning from my super muggy run. It's getting hot hot hot out there-kinda like walking/running/biking/etc in a cloud. Make sure that your workouts are as good as they can be without compromising your health by following these simple tips.